Freshersworld is somewhat of an anomaly in today’s fast-paced startup ecosystem. For starters, it’s barely a startup, having started off way back in 2006. Also, it hasn’t yet joined the funding rat race, and remains proudly bootstrapped to this day. And most importantly, unlike other vaunted, well-publicized startups, it’s profitable. We talked to CEO Joby Joseph about his experiences with building Freshersworld.com. OfficeChai: What was your background before you started Freshersworld? Why did you get into the jobs space? Joby Joseph: I have worked as an software engineer in CGI & Wipro. The tipping point was when I faced challenges in finding a job from outside campus. That stirred something in me. I thought to myself, I can either sit and work in my 9 to 6 job or actually make a difference in the life of millions of other candidates like me who are looking for their first break. 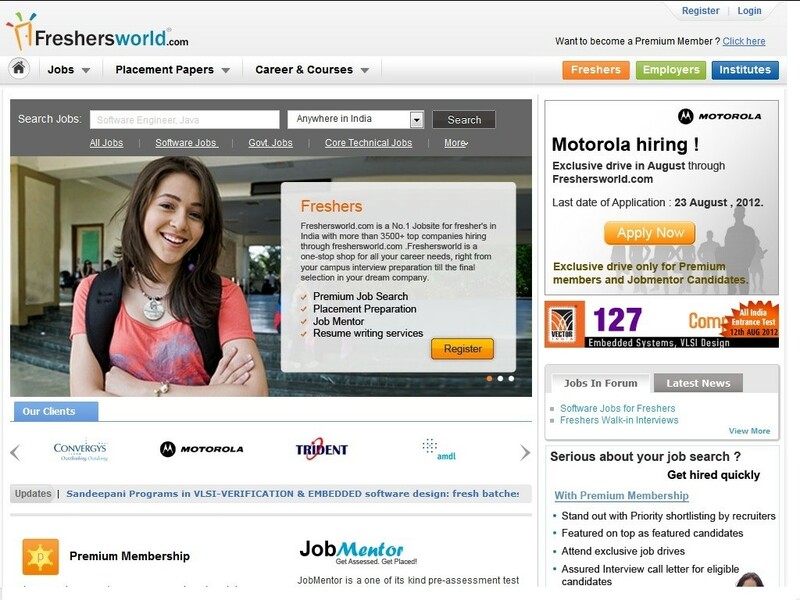 I started Freshersworld as a blog and later on it pivoted to become the No.1 job site for freshers in India. I never thought it would grow to this stage but more than that, getting the opportunity to help place 2 Lakh+ freshers every year is something that gives me immense satisfaction. OfficeChai: You remained bootstrapped for a long time. Was that a conscious choice? Joby Joseph: Yes. I still believe in the age old logic of having solid traction and revenue before look at external funding. We have been profitable for over three years now and this now gives me a solid footing to reach out to investors. We have started talking to some VCs to fuel the next growth for the company. OfficeChai: How did you grow the blog in its early days? Joby Joseph: It was mostly word of mouth. At those times, Yahoo groups and other such portals were very popular and that also led to our expansion. We were the early movers in this domain and this helped us getting initial traction. OfficeChai: At what point did you realize this could be a serious business? Joby Joseph: We got our first client in late 2011 who wanted to do campus hiring through us. This was something that pushed us to make this a serious business. From then on we experimented with a lot of stuff and finally settled on the services we provide, namely on & off-campus recruitment, online assessment, Hot Job posting, etc. OfficeChai: How is Freshersworld different from other job sites? Joby Joseph: Freshersworld.com is a niche job portal only focussing on entry-level hiring for graduates. We are also the only site which provides specialised services for grey collar hiring across India. This includes the typical sales, marketing and support job roles. We have already carved our niche and that has helped us. We now get around 2-3 lakh fresher registrations on a monthly basis and have 60K recruiters hiring through us. This includes big MNC’s like EMC, Facebook, Accenture, Toshiba, Huawei, etc to startups like Practo, Uber, HDFC Life, Flipkart, SME’s and large and small HR consultants. OfficeChai: What are your expansion plans? What does the future look like for Freshersworld? Joby Joseph: We have a very solid expansion plan set-up. We launched Hot Job Posting 6 months back and have successfully helped 92% of all clients to close their job openings. With this product, we provide guaranteed hiring in 4 days, or clients get their money back. I think this speaks volumes about the confidence we have in our delivery capabilities. Most jobs being found this way are grey collar jobs, and 80% of all hiring is happening in this segment. Grey collar jobs is one of the toughest nuts to crack but I am happy to say that we have found the right solution for it through Hot Job postings. Also, we have plans to ramp up our technical and product capabilities. We also have some new and exciting products tailor-made for entry-level hiring in the making and we will be launching one early next month. Stay tuned!